Mint state and key date listed Standing Liberty Quarter values is for graded, certified and authenticated coins in PCGS or NGC holders. The rest are a sample of raw coin sell but this is not a guarantee your coin with the same date, mint, grade and holder will sell for this exact value. Also examples struck with Full Heads (FH) will be worth a premium above a coin in the same grade. The mintage is a number reported by the US Mint and does not reflect the survival number of each date and mint. Silver coins have been melted and lost over the years and their survival rate is less than the mintage and sometimes substantially less. Grade is the condition of a coin but high grade coins bring more value and this is called their condition grade. 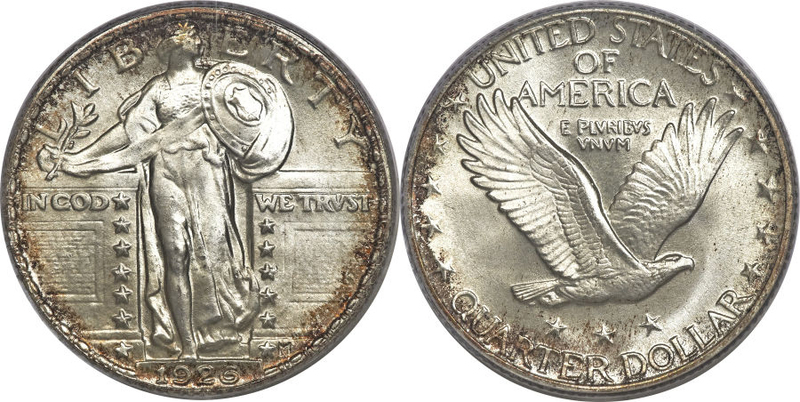 Some dates and mints circulated widely and are much more rare in MS grades than circulated grades and this causes the mint state examples to jump in value. 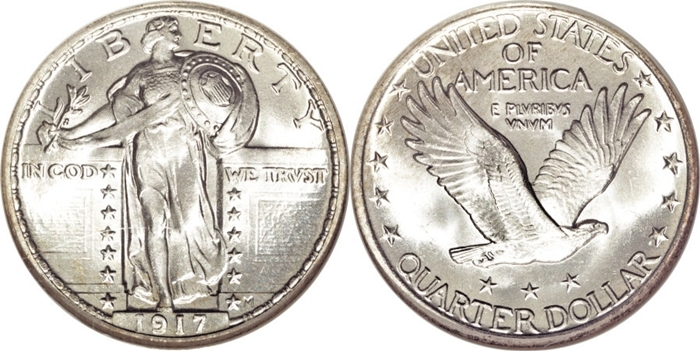 You will often find Standing Liberty Quarters without dates and these are called “slicks”, these will sell for less than the melt of an uncirculated example, but do look at these closely since there’s still 1916 Type 1, no dates to be found. 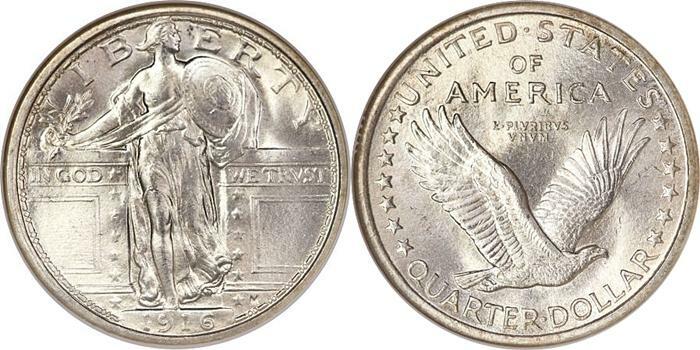 Standing Liberty Quarter value is determined by the survival rate of each mintage and grade condition. Find Seated Quarter Value.